With bots hitting mainstream, the market has matured significantly over the last one year, and one of the pioneers in the field, providing a comprehensive AI powered conversational platforms is Botworx. Created with a vision to disrupt the way brand and consumers communicate with each other, it is helping the brands acquire, engage, educate, communicate, entertain and transact with the 3.5 billion consumers around the globe that use a social messaging service everyday. Analytics India Magazine interacted with Mahi de Silva, CEO and Co-founder of Botworx.ai, who took us through the exciting journey of founding the company, how is it different from other AI powered conversational platforms, the growth story, roadmap for the company and much more. 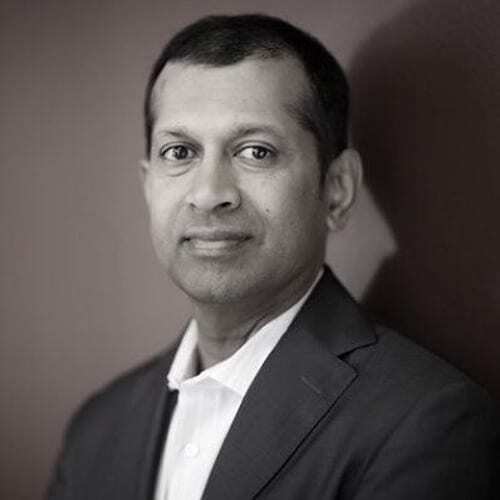 “Our AI-powered platform for authentic conversations enables brands to go full circle with their consumers making interactions immersive and persistent using tools to measure, optimise and manage the full life-cycle of a brand experience”, says de Silva, who along with Manoj Malhotra, CTO, Arvind Gupta, Chief Evangelist and Mark Fruehan, CRO, founded Botworx after a realisation that despite all the digital marketing, brands still struggle with consumer engagement. 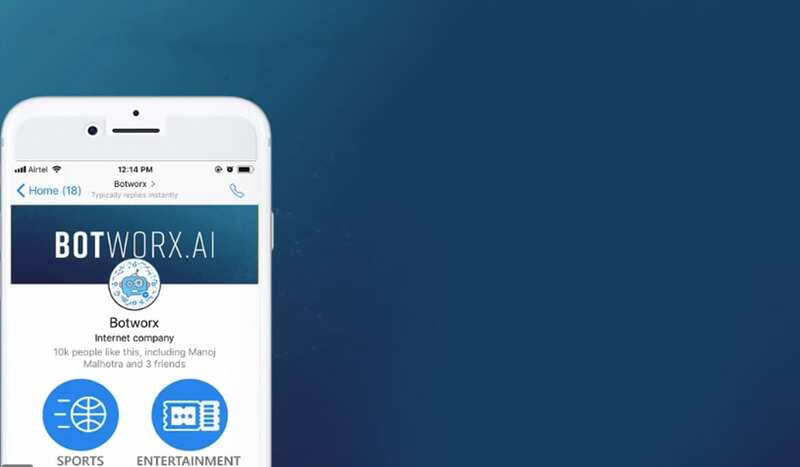 With a extensive experience in the technological domain across Silicon Valley and India, the co-founders were inspired by the application of AI technologies to aid brands to better serve their customers, and hence Botworx was born. The entire leadership team brings an element of expertise that helps create a dynamic course of action at the company. Delivering a holistic experience for both consumers and brands, the startup distinctively works with brands to enable a closed loop experience consisting of not just building human-friendly interactions but also use their platform as a foundation for a customised, consumer centric, seamless experience. “The consumer-brand interface is a start but we as a company are working towards building experiences that will evolve with consumers and be relevant in 2020 and 2030 across global markets. We work every single day to elevate the brand-consumer experience using the power of machine learning to improve future engagement”, he added. Serving the likes of Zee Media, Circle of Cricket, Neemrana Hotels, Lemon Tree, Newsmobile, Telangana Today and WittyFeed, Teach for India, YouWeCan and international clients such as Change.org, MediaPost, Tony Robbins, Flawless by Gabrielle Union and Macadamia Professional, Botworx is proud to be helping major enterprises to engage millions of customers across multiple verticals including media, entertainment, retail, hospitality, financial services, fashion, healthcare and NGOs across the globe in a short span of time. “Every day our team is asked to attack a new consumer problem, and we’ve come to appreciate that there’s a lot of commonality across multiple verticals and use cases – where machine learning is uniquely suited to solving these issues”, says De Silva. The platform by Botworx provides a broad set of tools such as a conversation builder, a conversational analyser, a natural language processor, a machine learning Engine and insights dashboard and reports. “Each of these can be customised to meet the specific needs of an enterprise” shares De Silva. Further explaining the use cases he said that news and entertainment customers use innovative methods in their conversational analyser to engage their customers in polls, questions to drive engagement, and to represent the pulse of community or an entire nation. Similarly, consumer good companies use conversation builder to construct a “profiler”, a fun and interactive questionnaire that distills the unique needs of a consumer, and recommend product(s) that best suit their customer. Healthcare companies use a different “tone of voice” for each of its constituents— patients, doctors, insurance companies, even shareholders, making it easy to sort through a mountain of content to pinpoint exactly what they are looking for across patient care to sponsored research to their last quarterly financial statement, amongst the other use cases. De Silva explains that Botworx.ai is using artificial intelligence, machine learning and analytics symbiotically to create an immersive experience for consumers interacting with brands. “All these three elements play an important part in delivering a qualitative experience—AI at the presentation layer is natural language processing to create a human-like conversational experience whereas AI in the data layer is machine learning to understand patterns of communications, issues and preferences to derive meaningful insights and continuously improve future experiences”, he says. Analytics, on the other hand plays a pivotal role in helping brands understand the consumer, their intent and sentiment and to respond and engage them on their terms. “Good conversational systems delight customers. Our chatbots not only enable conversations and the distribution of content but powered by machine learning simplify the process of getting them the content they want whenever they want it”, says De Silva. Backed by their experienced leadership and fuelled by the zeal to disrupt brand-consumer experiences across the globe, the company has seen a steady growth in terms of expansion across markets and verticals. “The response and growth since the inception of the company has been fantastic and very encouraging”, says De Silva. “As mentioned earlier we have built our platforms for multiple verticals including media, entertainment, retail, hospitality, financial services, fashion, healthcare and NGOs across global markets and expect to expand to new areas in 2018”, he shares. The startup has engaged more than 15 million users on their portals to date and expect to hit the 100 million mark in the next year. It also raised a seed round in February 2017, which they intend to use in delivering qualitative consumer-brand experience across the globe. He also adds that while brands like Circle of Cricket and Neemrana are a great example of how their platform has helped create heightened engagement models, they are also proud of working with brands in the social sector that are not usually the evangelists of new technology. “Internationally our work with Tony Robbins and Flawless has helped open the doors for our work across the globe in the field of entertainment education and fashion”, he shares. While the company has technology and leadership veterans at the helm, Botworx.ai still works on the principles of agility and zeal. Every day the team strives to learn from yesterday’s data and create a better system for tomorrow. “Though we have the same challenges as other startups, we are bound by a common vision and a will to change the way brands and consumers communicate”, he said. De Silva also believes that there is a lot of noise in the market today about AI, chatbots and digital marketing with many companies using AI as a marketing slogan without having the expertise to implement it. Botworx on the other hand brings real-time experience in AI and ML and are confident that they can leverage these technologies at massive scale by focusing on solving real world problems like brands connecting with customers and delivering delightful experience. “We are extremely bullish about India and are already encouraged by the value we are able to create for our partner brands in this country. We also look at India as a great funnel of exceptional talent and hope to use our platform as a way to evangelise this talent”, he added. Having recently hosted India’s first ever Botathon with the aim of integrating AI best practices with the young talented minds in India, the startup is looking forward to constantly evolve around NLP (adding new languages and idioms), ML (extracting insights) and different platforms including voice-recognition and chatbots for cars, in the coming future.